Art Andersen developed the solar screening for the ticket office in the new opera house in Copenhagen. The solar shading consists of 21 manually operated aluminium shutters which function as an integral part of the furnishing of the ticket office. 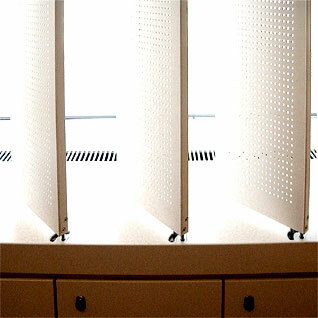 Art Andersen collaborated closely with the architects of the opera, Henning Larsen, to create solar shading at premium furniture quality level.